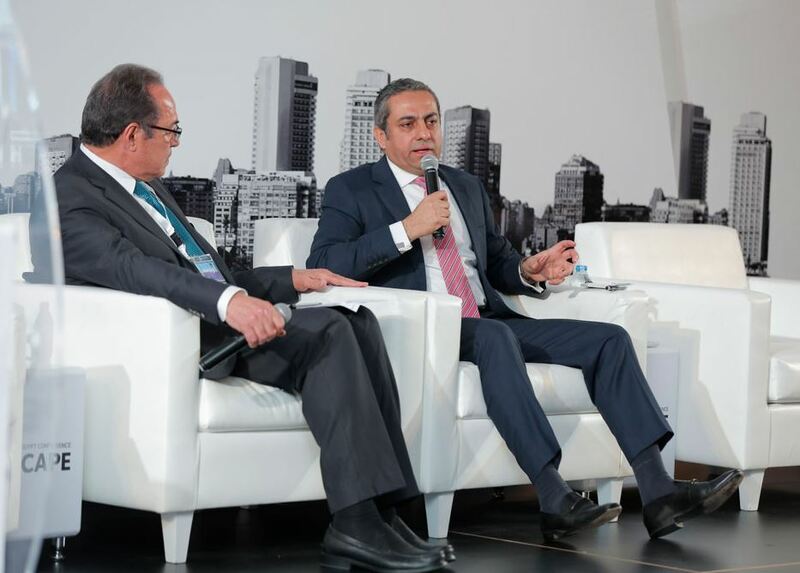 8 March, 2018, Cairo, Egypt: With news that Egypt will increase the size of its urban areas to 12% by 2050 – and with 14 cities already in the pipeline to absorb population growth – the country is aggressively undertaking the real estate’s most pressing needs. Egypt’s ambitious real estate plans will be on the cards at this year’s Cityscape Egypt Conference, as government authorities, real estate stakeholders, and experts reveal how the country will achieve its urban development objectives as part of it Vision 2030 goals. The 7th annual Cityscape Egypt Conference, will take place at the Four Seasons Nile Plaza on the 12th and 13th March – two weeks before the exhibition kicks off – and will include real estate experts, several government authorities, prominent Egyptian developers and thought-leaders who will put the spotlight on challenges and opportunities in the sector under the theme: Re-inventing a real estate destination; strategy, valuation and branding. As Egypt works towards balancing the supply and demand for housing in 2018 and beyond, investing in property is becoming a major driver. “Given the impact of the currency devaluation we witnessed during 2017, the purchasing power decreased for local buyers however, the property investment market is becoming one of the key investment drivers. Budget conscious buyers are pressuring the developers to offer affordable units with attractive payment plans. On the other hand, the currency devaluation has also resulted in an increase in second home buyers from Egyptians living abroad,” said Albert on the current trends in the market. The two-day Conference will also include several panel discussions including Vision 2030: Taking on the challenges and achieving the vision with Tamer Waguih, Assistant Head of Central Unit, Ministry of Finance; Ahmed Al Mufti, General Manager, Commercial Affairs, East Port Said Development Company; Amgad Hassanein, COO, Cairo Capital Group; and Dr. Assem El Gazzar, Chairman, General Organisation for Physical Planning. Other topics include: Exporting real estate: Turning Egypt into an international investment destination; The importance of regulating real estate valuation activity to attract international investors; Final thoughts on disruptive technology – the next best thing or just another thing? This year’s Conference – sponsored by Colliers, Kohler, CS Global, Contact Mortgage Finance, Altus Group, and property portal sponsor OLX – will also include breakout roundtable discussions on mortgage finance, industrial development, facility management, and the commercial and retail sector. Taking place at the Four Seasons Nile Plaza on the 13th is the Cityscape Awards for Real Estate in Egypt. Sponsored by JLL, the awards celebrate excellence in real estate development, architecture and forward-thinking leaders. The shortlist has been revealed and this year will see some of Egypt’s notable developers and architects vie for the coveted award in each of the eight categories. Contending for the Leisure & Hospitality Project Award are the projects: Al Hada Complex, Platinum Club, Tucana, and Westown Hub. While Coast 82, Hadaba, IL BOSCO - New Capital, KAI Sahel, and Matangi are all vying for the Residential-Low to Medium Rise Project Award – Future. Going head-to-head for the Residential – Medium to High Rise Project Award are Korba Royal Residence, One Kattameya, and Rock Eden. 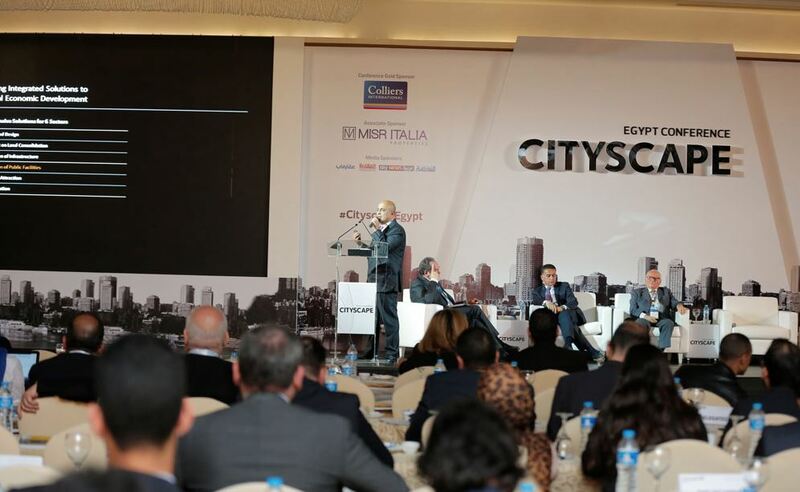 The Conference and Cityscape Awards are a prelude to the exhibition, which takes place later this month from the 28th until the 31st March at its new venue, the Egypt International Exhibition Centre (EIEC) in Mehwar Almosheer Tantawy in New Cairo. Cityscape Egypt 2018 includes 20,000sqm of exhibition space and over 70 exhibitors, with the figure likely to climb as the show approaches. This year’s platinum sponsor is PROJECTS.